The makers of the ASR implant have extended the deadline for patients who were injured by the defective medical devices. Johnson & Johnson and DePuy announced this week that eligibility for the settlement fund would be extended to those who had hip replacement surgery between August of 2013 and Jan. 31, 2015. The settlement fund was created in 2013 after a worldwide recall of 93,000 faulty ASR hip implants. The metal-on-metal implants were supposed to last for up to 20 years, but it was quickly discovered that the implants caused dislocations, constant pain, and metal poisoning. According to the companys internal documents, around 40% of the hip implants failed within five years and required replacements. 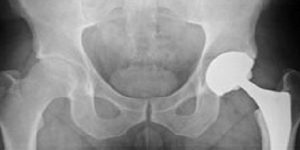 Johnson & Johnson lost its first hip replacement lawsuit in 2013, after a jury awarded a patient $8.3 million over the failed implant. In order to avoid paying thousands of multi-million dollar verdicts, the company created the settlement fund to provide quick payouts to those injured by the implants. Johnson & Johnson expects to pay out approximately $4 billion to settle claims for the defective implants. The extended settlement deadline will allow as many as 1,400 people to file claims against the fund, each receiving about $300,000 depending on their particular situation. In addition, patients who are not satisfied with the amount of the settlement fund still have the option to file a lawsuit against DePuy and Johnson & Johnson, its parent company. If you were injured by a DePuy ASR hip implant(http://www.edwardslawok.com/depuy-hip-replacement.html), you deserve compensation. Contact the attorneys at The Edwards Law Firm today to discuss your legal options.